Arsenal managed to get the job done, in the end, against a spirited side from Moscow. Arsenal were on course to do a Barcelona but somehow managed to pull off a Madrid, and some more, as they went behind to two goals from the Russians - who looked on course to keep the unbelievable week of upsets and magical moments in Europe going. 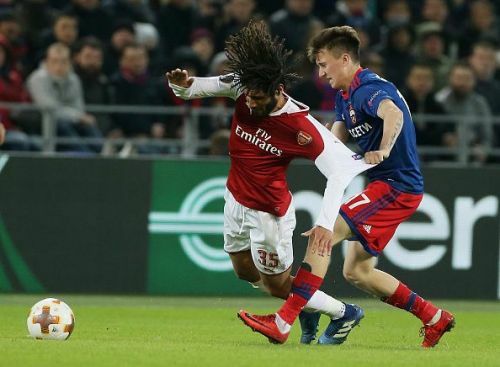 That was until Danny Welbeck took matters into his own hands and produced a brilliant solo effort, with some scintillating help from Mohammed Elneny, to essentially put the tie to bed as they went 3-5 up on aggregate. Aaron Ramsey then continued his brilliant recent form to land the final blow on the hosts, who to their credit, were more than just making up the numbers. Another comeback to try and put into words. Let's get to it then. The hosts battled the visitors for each and every ball. Arsenal were on top form in the home leg just a week ago, when Mesut Ozil and Aaron Ramsey turned on the charm to seemingly put the tie to bed in the first leg. What has preceded tonight in European football, this week especially, would've made any fan skeptical of the surety of the aforementioned assumption. And so it proved, for right until the final fifteen minutes, as Moscow first took the lead from a tap-in, after a terrific save from Cech off a header. They then went on to send shivers down the spines of the away fans as they got another one to reach within touching distance of the miracle. Arsenal's midfield looked out of sorts, with Wilshere getting bullied all over the park by the tenacious Russians who put together a few very decent chances for themselves on the night. A final surge from Arsenal was enough to avoid another gut-wrenching result in the season of disappointments for the Emirates faithful. 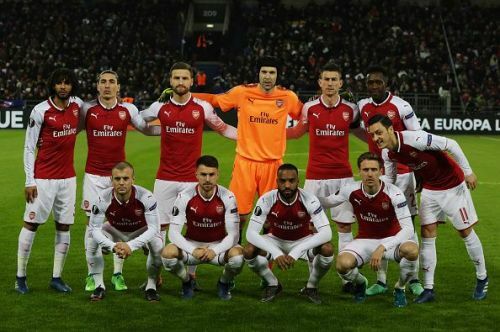 Europa League 2018-19: Arsenal seal crucial first leg win by brushing Napoli aside, but can they go all the way?